If you happen to be one of the millions of people who enjoy the benefits of marijuana, but are also searching for a job or career, then you must deal with the dreaded pre employment drug testing. Lawmakers have not caught up with the times, at least at the Federal level, and in most states, it is still quite illegal. In most states, and in the eyes of the Federal government, marijuana is still a “drug,” so a positive drug test will make you undesirable to employers. This is a huge problem that is going to take years to fix. So, for the time being, we must understand the employment drug tests that are administered and how to effectively pass them with minimal life alteration. Why Pre Employment Drug Testing For Marijuana, It Is Harmless? There are so many benefits that this wonderful plant can provide, if it is consumed in a healthy way, and at the right time. There are many situations where being high would not adversely affect the work environment. 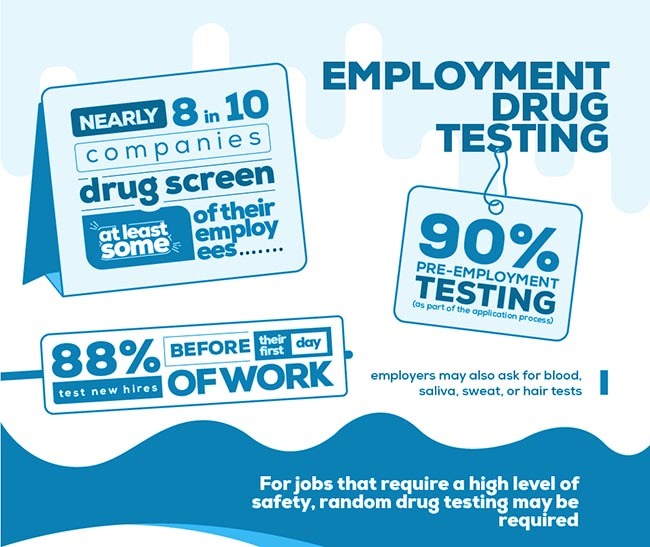 There are thousands of jobs and careers that do not have a employment drug testing policy because it is just simply not needed. However, the rest of the job market has a screening process, to which an applicant must pass a drug test. This makes up most of the job market. So, to be safe, when searching for a job, you may want to not consume anything that would turn the test negative at least a month before the interview. The main reason employers drug test for marijuana is because of insurance reasons. Marijuana is scientifically proven to slow motor function and decision-making abilities. Most jobs require focus and concentration to be successful, so, being an avid weed smoker can lead to dangerous situations that could have otherwise been avoided. Simply put, someone could get hurt, and you must weather the consequences. There are far too many accidents each year that could have been avoided by following the rules of workplace safety. Insurance companies have a policy that when an employee gets hurt at work, the health care provider must administer a drug and alcohol test to determine the sobriety of the individual that got hurt. So, your employer will administer drug tests to try and get employees that do not do any drugs, so that they can save money by keeping their insurance costs down. How Do Employers Test for Drugs? 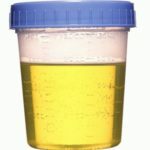 The most common way that your employer will drug test is by giving a urine sample. You will be given a time and date to report to a doctor of their choosing to take the test. There are machines and strips that can tell if the urine has drugs in it immediately, but these tests are expensive, so the place that administers the test will usually send the sample off to be tested. How long this takes will vary based on where they send it to and if they are backed up with samples. Usually, they say that it will take a week or two to get the results back from a urine test for marijuana. Another way a employment drug test can be given is through taking your blood. A blood test cannot be fooled, it will give them exact data on what percentage of drugs are in your blood. 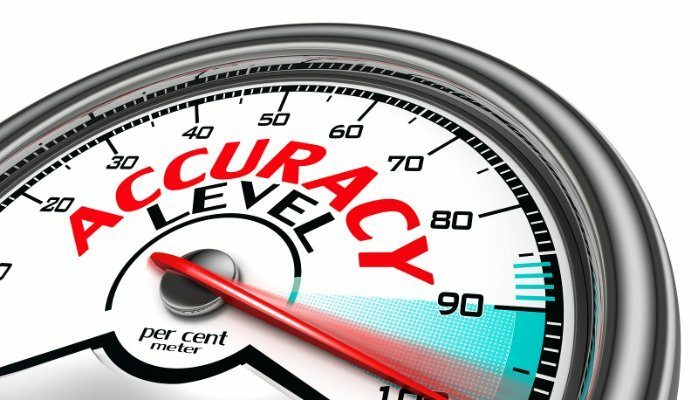 It is precise and accurate. If you consume less than a month before a blood test, you can be certain that you will fail it. The only way to pass these tests is by staying clean for more than a month. To ensure success, stay clean for more than a month, and you will pass with no problems. Depending on what type of job you are applying for, some careers with higher qualifications or dangerous jobs may take a hair sample. Your hair holds metabolites, which is the result of the process of your blood breaking down the drug molecules, and this test can detect the amount and type of metabolites your hair houses. 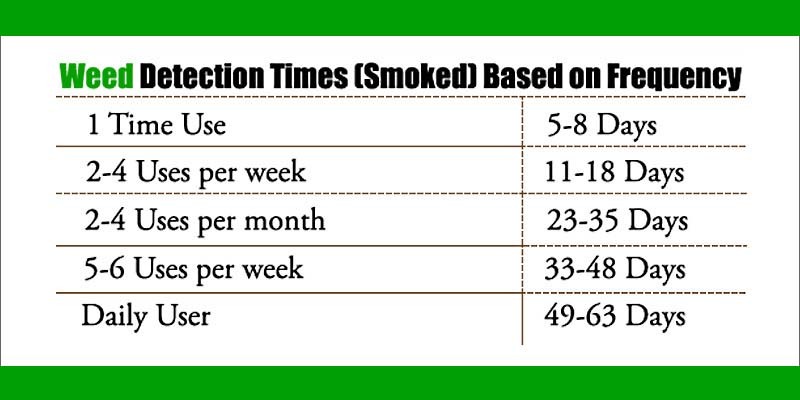 This test can determine very low-level drug use 90 days before the testing date. This is the standard amount of time the test looks at. However, a hair follicle drug test can detect metabolites from more than a year before the test, if the hair is long. On average, head hair grows about .5 inches per month. The people testing the hair sample look for hairs that are at least 1.5 inches long, so that goes back 90 days. If your hair is 12 inches long they could go all the way back 2 years and test for any drugs. This is uncommon, as it is quite unfair to the employee, but it is possible. Before you shave your head before a drug screen, body hair houses the metabolites that drugs produce, and can be tested just like head hair. Do not worry, they will not take a pubic hair sample, as that is illegal to do. How Can I Prepare for a Employment Drug Test? The best and most effective way to pass a drug test is by not using drugs for a minimum of 30 days. By 30 days, any trace of drugs should be out of your bloodstream and urine. However, if they decide to administer a hair test, you will fail, because they will test the last 3 months of hair growth. If you find that you cannot stay drug free, there are ways to help the process move a bit quicker, so do not worry. There are thousands of products on the market that claim they will ensure you pass a drug screen even if you consume every day until the testing day. These products cover up and mask the THC in your system. Products that claim this dream is false. There is no drink, supplement, home remedy, or concoction that can ensure you pass a drug test with a bunch of drugs in your system. The only sure method is using a full body detox kit for 7 days or more. There are quite a few products that will break the test, and the results will come back inconclusive, which in the eyes of most employers, is considered a positive result. This is something you do not want. Again, staying drug free is the only way to ensure you pass. 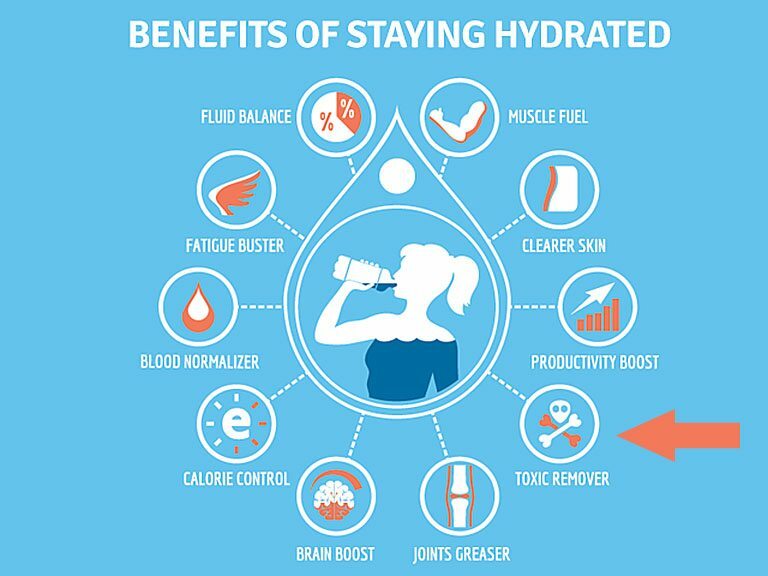 However, if you slip up and consume a couple of weeks before your test, you can drink more water than usual. This will help your body break down the drugs faster. Another thing you can do, along with more water consumption, is to exercise. Working out breaks down your muscles, your body consumes nutrients to feed your muscles to grow bigger and stronger, so with a steady work out routine, you may break down the drug molecules in your body a bit faster. Another note to consider, is that if you think you are going to fail the drug test, for whatever reason, you will. Once you fail a drug test with a company, they will not let you apply again for a certain amount of time. For most companies, it is 90 days. For others, you cannot ever be considered for employment again. This is devastating when you get offered an illustrious career, nail the interview, are the perfect candidate, but then fail the drug screen. Then, you cannot apply there again. Not good. Do what you can to stay drug free, but if you think you are going to fail, you must improvise to push the date back so your body can have more time to metabolize the drugs. 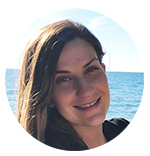 Use your imagination and come up with a solution to communicate to your future employer about giving you more time to get things sorted out before you go to work for them. Make sure they are willing to do this, as some positions are needed ASAP, and they may have other candidates that are willing to take your position. Every situation will vary. Can’t I Just Cheat My Employment Drug Test? No. Tampering with a drug test is illegal in all states, and can possibly be punishable with criminal prosecution. Drug testing professionals know all the tricks. They can also test for other elements that suggest you ingested something to attempt to throw the test off. 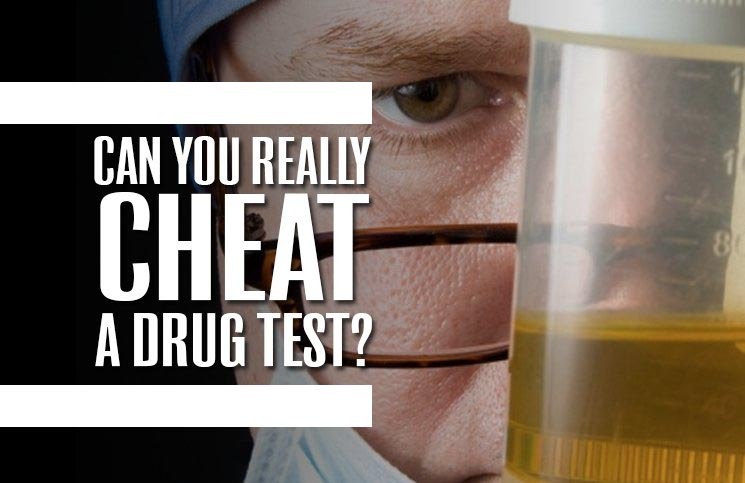 Modern drug testing is much more advanced than it used to be, and it is nearly impossible to cheat a test now. Before, people could take a balloon or a bag of another person’s urine to put into the cup to go for testing. Now, laws state that the potential employee must be watched by a licensed testing administrator. As in, they watch you fill up the cup. There is no privacy anymore. If you do somehow cheat the drug test, it comes back inconclusive, which means foreign elements were found, then the company will likely deem you non-employable. Depending on the severity and the company you tried to cheat, they may have the authorities launch an investigation into the fraud. This is only because drug tests are expensive, and the company feels that it wasted money by you trying to cheat the test, so they would want their money for the test. A blood test obviously cannot be tampered with. They take it out of your arm, label it, and send it off for testing right away. Hair tests also cannot be cheated. The only way to get out of a hair follicle drug test is to shave every hair off your body. For some, this may be something they might consider, depending on the employer and their drug use. Is Employment Drug Testing Even Accurate? If a testing facility reports any drugs in your system, depending on the drug, they will automatically disqualify you for the position, no matter the amount shown. Blood tests can be the most accurate, because they can count the percentage of drugs in your blood, and what types are present. A blood test detects and identifies anything in the blood, so it can test for any type of drug, no matter what it is or how much is there. There is no disputing a hair follicle test either. These are extremely accurate in detecting the drugs the Federal government has deemed lawful to test for. Remember, hair tests can go back as long as your hair is long. The main point to take away from this text is that the only way to be positive you will pass a pre-employment drug screening is to stay away from the drugs they test for until you are certain that you can safely consume what you want without negative consequences. Do that, and you will be well on your way to landing your dream job in no time. How Can I Pass My Pre Employment Drug Test Faster? 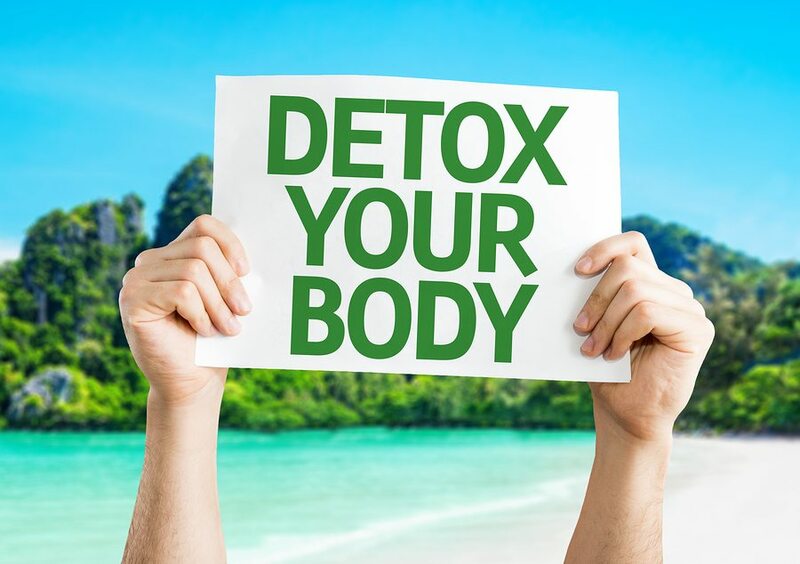 Our Total Herbal Cleanse marijuana detox kit was developed by experts specifically to strip toxins from the body in just 7 days. It uses 7 maximum strength herbs to flush out marijuana to ensure you are clean on test day. 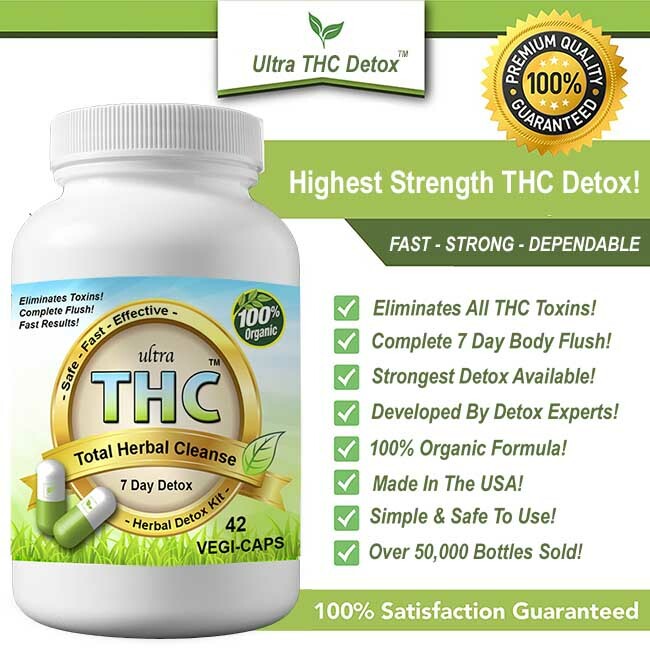 Ultra THC Magic detox was launched in 2007 and has become the go to detox for over 50,000 customers. If you have a week before your test it can work wonders for you!